Pepper is about 9 years old and was surrendered to CPL because she was not coping in her home. Pepper is a shy cat who can be as feisty as her name suggests but will blossom into an affectionate and playful companion once settled. She is very protective of her private space but easily coaxed out with treats. 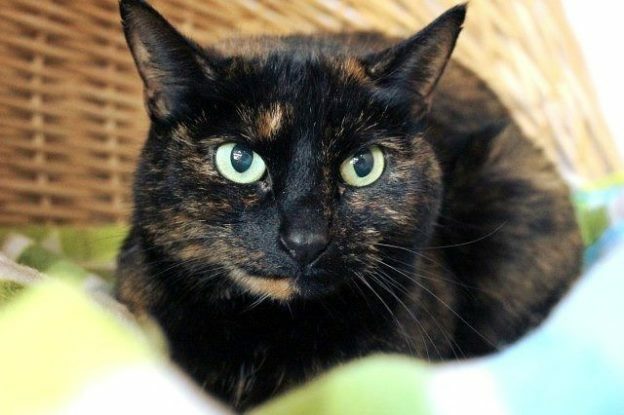 She will suit a quiet adult home with an experienced owner and no other pets. Pepper is easily stressed and is on a special diet to help her to chill out. She enjoys this and will benefit from it being continued in her new home.